Yakubu Dogara, Speaker of the House of Representatives has condemned the inability of the police to tackle the massacre of innocent people in Plateau. 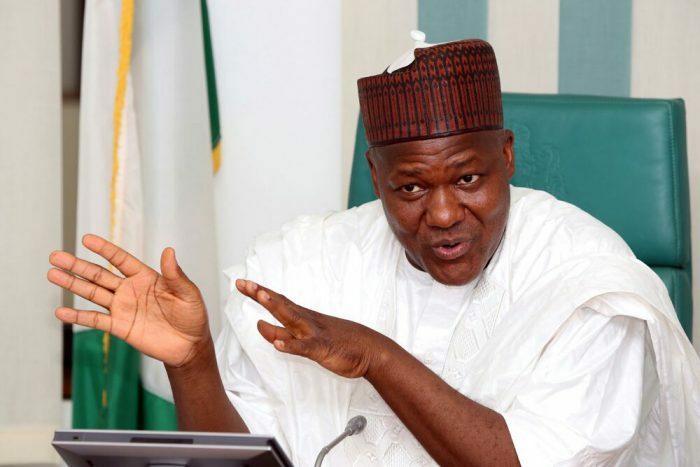 Speaker of the House of Representatives, Mr Yakubu Dogara has called for the restructuring of Nigeria’s security architecture as he condemned the latest Plateau killings. About 200 people in the Church of Christ In Nations (COClN) and Regional Church Council (RCC), in Barkin Ladi Local Government Area of Plateau State, mourning their dead, were killed by suspected herdsmen. Dogara made the condemnation in a statement signed by his Special Adviser on Media and Public Affairs, Mr Turaki Hassan. on Sunday in Abuja. He said it was reprehensible that people who gathered to bury their dead would be gruesomely murdered in that manner. ”Our security agencies must rise up to the task of securing the lives of citizens of this country. “The attack reportedly lasted from 1:00 p.m. noon of Friday, and lasted till about 8:00 p.m. on Saturday. ”Where was the Police and other security agencies that they failed to respond to stop the killings? “This further strengthens my constant call for an overhaul of the entire security apparatus of this country. It just isn’t working,” he said. He said that rising level of violence and gruesome killings of innocent and helpless citizens posed serious threat to Nigeria’s democracy and must be stopped.